Built 1892-1895 by Vladimir Nikolic. Opened 4 Feb 1895. Ca. 600 seats. Also known as "Pozoriste Dundjerskog" in honour of the Serbian industrialist, Lazar Dundjerski (1833-1917). Destroyed by a fire on 23 Jan 1928. 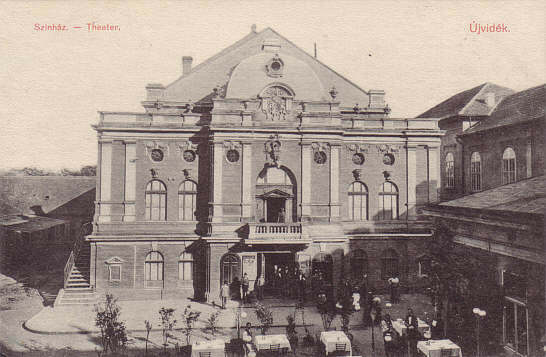 Front Text: "Szinház - Theater, Újividék"